We now have a new setup for working at the studio since NuArc FT26V3UP arrived on 2014. As it needed repairs and parts i´ve just now started to work with it. Regarding the Developer, I´ve had some issues with properly diluting the Sodium Carbonate crystals in the water but that was because I tried to dilute the powder in the 5l of water. It should be done with small amount of hot water first and then mixed with the right amount of water. As some instructions advise to agitate the plate and others tell you to leave it be, I tried both ways. The last two small plates were not agitated/brushed during the development. I tried this to see what´s the difference. 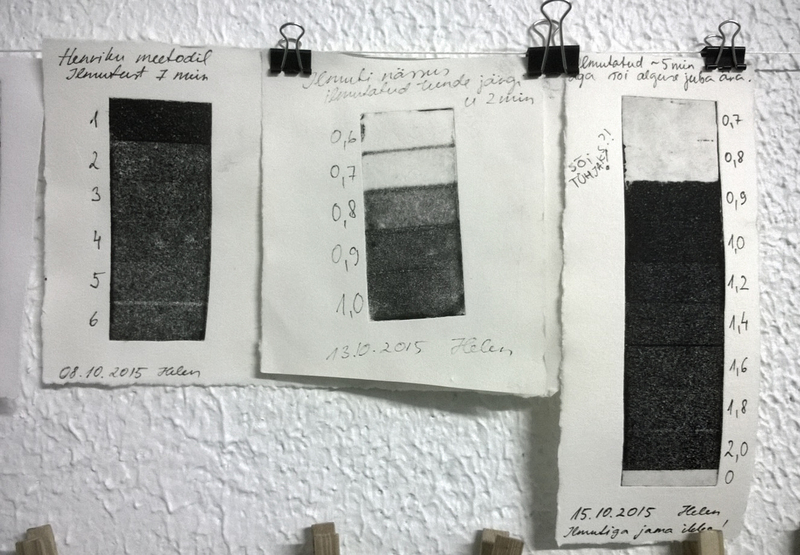 As the test plates were really small it´s hard to tell but it seams the unagitated plates kept some emulsion on 0,8 LU (Light Units).